Breed origin: The Tennessee Walking Horse was developed in the 18th century after Narragansett Pacers and Canadian Pacers were crossed with gaited Spanish Mustangs. These horses were bred on the pastures of central Tennessee, and were originally known as Tennessee Pacers. They were known for their smooth gaits and sure-footedness on the rocky Tennessee terrain. Various other breeds were later added, and in 1886 a foal named Black Allan was born – this foal is now considered the foundation sire of the breed. It wasn’t until 1950 however that the United States Department of Agriculture recognised the Tennessee Walking Horse as a distinct breed. 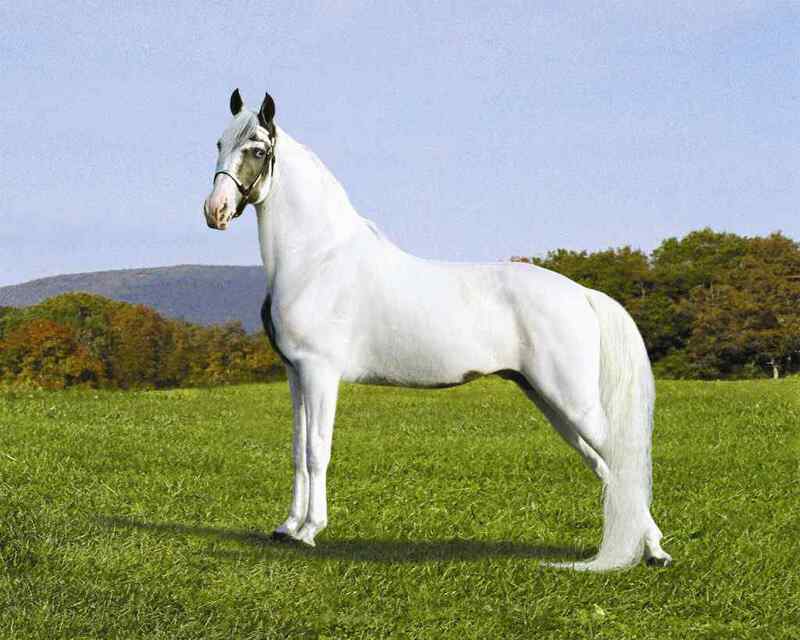 In 2000, the breed as named the official state horse of the US state of Tennessee. Distinguishing features: This breed of horse is known for its unique running-walk. This is a four-beat gait with the same footfall pattern as a regular walk, but significantly faster. Their rear feat also overstep the prints of their front feet by 6 to 18 inches. There are two basic categories of Tennessee Walking Horse – ‘flat shod’ and ‘performance’ – and these are differentiated by their desired leg action. The modern Tennessee Walking Horse is described as refined and elegant, but solidly built. These horses are tall with long necks, and have a reputation for having a calm disposition. Modern day Tennessee Walking Horse: The Tennessee Walker is a popular riding horse due to its calm disposition, smooth gaits and sure-footedness. Often seen in the show ring, it is also popular as a pleasure and trail riding horse.